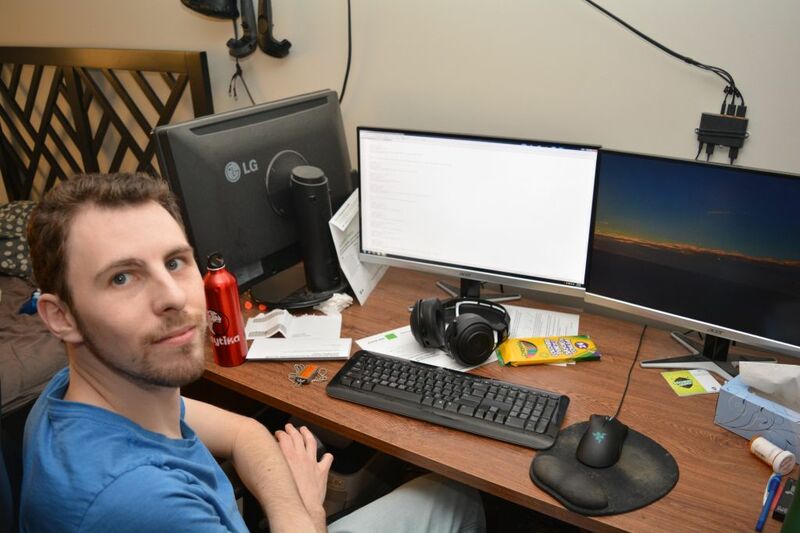 Making small Flash games in his spare time was just the beginning of Richard Fyffe’s seven year path through two Algonquin technical programs, leading him to eventually graduate twice with honours. Today, Fyffe has reached a point many college students and alumni would envy – complete career fulfillment. However, it has been a long road to get there. While Fyffe graduated from the computer engineering program in June 2016, that wasn’t actually his first choice. 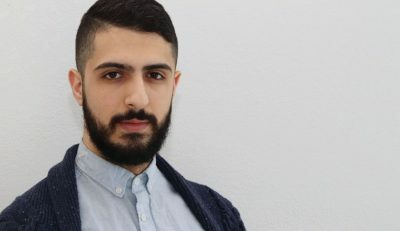 Back in 2009, he pursued a career in Algonquin’s game development program. “I was really into gaming and I wanted to create (games) as a career,” said Fyffe. While in game development, Fyffe shined in the programming and technical aspects of the program but didn’t really excel at the artistic side. “I didn’t really find my artistic potential until halfway through the program when they introduced sprites and the Unreal Engine,” said Fyffe. In game development, Fyffe met a bunch of new friends that he still remains close with to this day, including Matthew Perotto. Perotto has been friends with Fyffe for eight years since they both advanced through the program together and graduated the same year. Back in his high school years, Fyffe found his talent in programming by making small Flash games in his spare time between classes. One of the biggest games he created was a Japanese role-playing game where the player could complete quests and battle monsters. He claims that he never gave this game a title. “I’ve never made a game that got far enough to deserve a name,” joked Fyffe. Ironically, while being considered a professional programmer today, Fyffe nearly failed while taking programming classes in high school. After graduating from the program in 2012, Fyffe was able to land a job with a small developer called mobiliThink through a friend he met in the program. He worked with the company doing some contract work and game developing on the side but it never really satisfied him. While still working at mobiliThink, Fyffe decided to put his programming and hardware skills to the test and enter Algonquin’s computer engineering program. For Fyffe, the computer engineering program was less fun but more educational and that was just fine with him. One of the reasons for going into the computer engineering program was because Fyffe’s game development diploma was not giving him many career opportunities. “It was really the realization that the game development diploma wasn’t really worth anything,” said Fyffe. While Fyffe was in game development, the program was going through some much-needed changes as the courses were weighing too heavy on the technical side of creating games and not the design aspect as much. Since Fyffe’s graduation, the program has gone through drastic changes in its course load. However, one thing that he can take away from attending the game development program is that he eventually met his fiancée Victoria Bradford, through mutual friends in 2010. The two eventually started dating in November 2012. The pair eventually got engaged on Nov. 28, 2015. 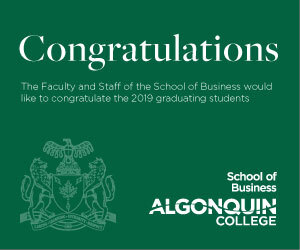 Fyffe and Bradford said they plan to get married after Bradford graduates from the pre-health science program at Algonquin. After graduating from computer engineering, Fyffe participated in the Federal Student Work Experience Program, a course offering full-time students work experience in the federal public service. Through this, he was able to obtain a job with the Public Service Commission as a QA analyst. While there, Fyffe was tasked with rewriting a VBScript based software called HP’s Unified Functional Testing. Soon after that, Fyffe got a job with Pennant Canada in November 2016 which works with military logistics software, and he continues to work there today. There, he maintains the Omega PS, a military LSAR (logistic, support, analysis and reporting). As of right now, Fyffe is surrounded by people who love him including friends, family and his fiancée. He is perfectly happy where he is now and is basically just waiting for something else that interests him to come his way. Programming a successful future Reviewed by Kory Glover on March 31, 2017 .